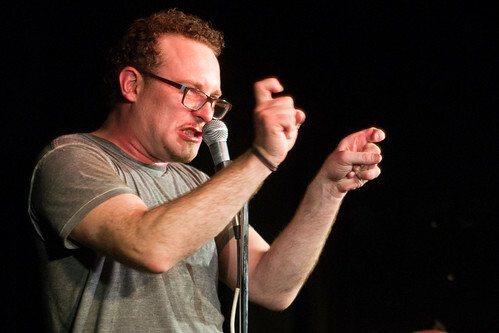 James Adomian returned to Toronto for a trifecta of improv, standup, and sketch this weekend (do we call this “pulling a Proops”?). As his Sheriff of Nottingham character, he joined some of Toronto’s best improvisers for an improvised Robin Hood tale Friday night, and will host Sunday Night Live with the Sketchersons. 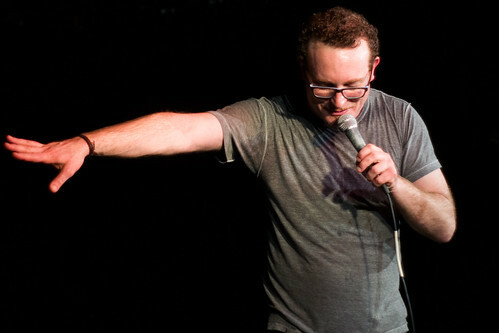 Saturday was purely for standup, with Adomian playing to two sold out shows at Comedy Bar. 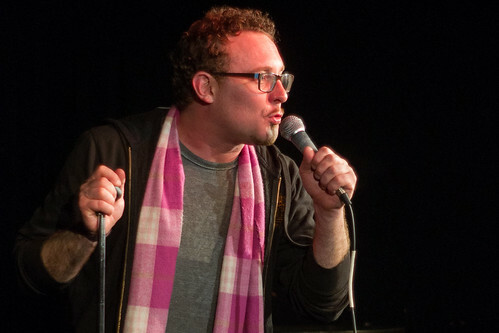 Adomian stuck to the trend of Comedy Bar out of town headliners by not actually opening with a constructed opener (is it the nature of the alt-comics being brought in, or the loose vibe of the venue itself?). He riffed on the weather and falling down earlier that day while visiting one of Toronto’s “ice parks,” and how the difference between American and Canadian dispositions was highlighted when his flight was delayed. From there, he jumped into an all too accurate description of the constant state of urgency New Yorkers are in, and a characterization of a bigoted elderly man in Atlanta (which I’d love to see performed as a duo with Sean Cullen’s “southern lawyer”). 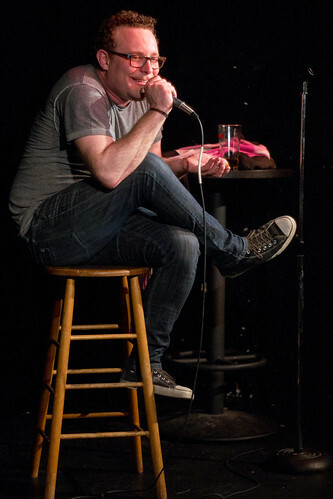 Known for his uncanny impressions, he rewarded the comedy nerds in the crowd with his takes on Todd Glass, Eddie Pepitone, Pete Holmes and Andy Kindler (almost as good as having Glass and Kindler there with him). His perfect Bill Hicks impression – paired with the perfect premise of Hicks as a TSA agent – was deeply satisfying despite said perfection being lost on some of the crowd. His more accessible Lewis Black impression killed, and his signature Jesse Ventura impression drew cheers upon the mere announcement that he was about to do it. He closed the night with a few fan favourites: his dead-on Marc Maron being tucked into bed by his even more dead-on Louis C.K., and his now-classic tale of bombing when he opened for Joan Rivers. 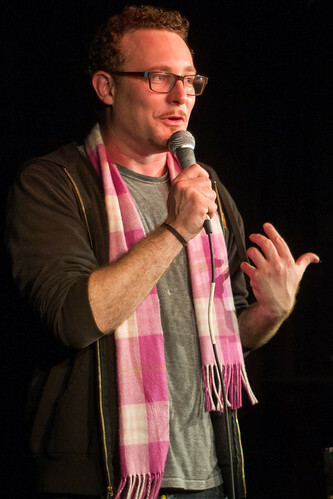 Tickets for Adomian’s turn hosting Sunday Night Live at 9 p.m. are $15 at the Comedy Bar box office. Photos copyright Sharilyn Johnson / Third Beat Magazine. May not be used without permission. He was GREAT in Naughtyham. Laughed my face off. Super nice guy too! Great pics as usual, S!